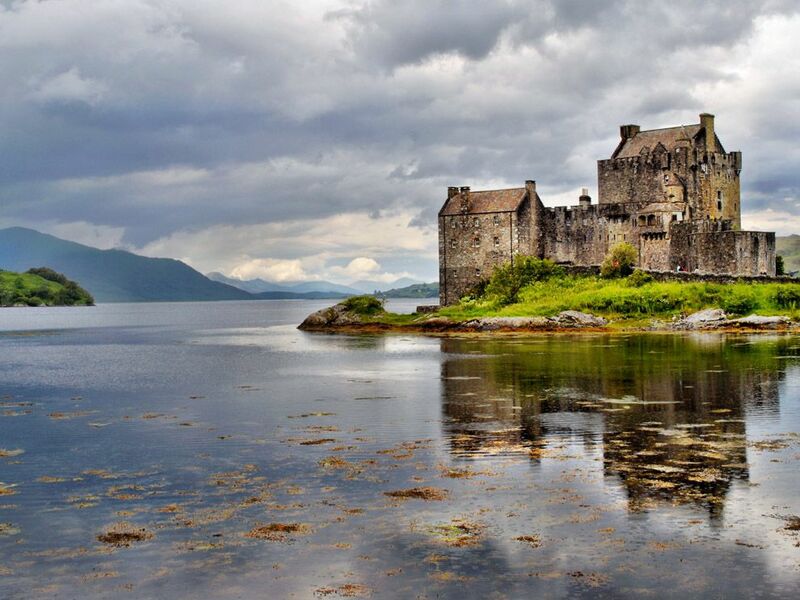 A castle sits on Eilean Donan, an island in Loch Duich in Scotland. Students discuss the physical features of the British Isles and reasons an island might split into several countries. They compare maps of language and religious groups to political maps of the United Kingdom and Ireland, and read and answer questions about languages and religions of the United Kingdom and Ireland.